They know "Yeezus" pretty well. Jesus on the other hand? Maybe not so much. My name is Chris Lassiter. And I have the great privilege of doing exactly what you do, which is introducing kids to Jesus Christ through the ministry of Young Life. For the last 11 years, I’ve walked through life with the guys at my former high school, Robert E. Lee in Staunton, VA.
And, just like you, I've had both mountain top and valley experiences with the teens that regularly ride in my champagne-colored 2001 Mazda MPV mini-van with the missing door handles. Any guess as to who broke my door handles? Of course it was my Young Life kids. The truth is that I would break one million more door handles before I stopped picking them up. What a great honor to share life and gospel with them. The Lord has given me grace to help the kids at the high school distinguish between the Jesus of hip-hop and pop culture and the historical, biblical Jesus. 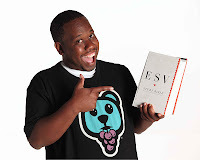 I’m a writer by profession and a volunteer leader, so I decided to try writing a book that could be fairly described as a hip-hop remixed introduction to Christian doctrine. Once again, the Lord showed grace and Moody Publications agreed to publish it. 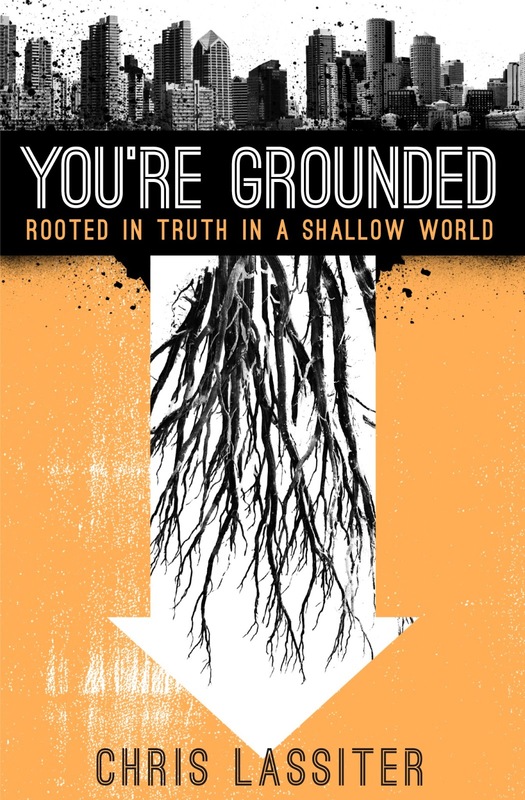 The book, You’re Grounded, released on July 1. The first half of the book reads like a progression of club talks, with hopes of answering the question, “Is Jesus who you think He is?” The second part of the book focuses on how we should respond if Jesus is who He claimed to be. My goal for the book is that it would be a warm, easy-to-read, Christ-honoring, culturally relevant, theologically sound book that leaders could either walk kids through or recommend to kids. Check out the trailer for 'You're Grounded' on YouTube. Chris would love to get this book in the hands of Young Life leaders so he is graciously giving away 5 copies. Winners will randomly be selected from those who leave a comment below or tweet about the book. In your comment, leave your name and YL area. In your tweet, make sure to tag @YoungLifeLeader & @C_Lass. Chris Lassiter is a Christ-follower, husband to YoungLives staffer Emily Lassiter and father to the world’s five cutest kids. He has led Young Life at his former high school, Robert E. Lee in Staunton, Virginia, for the past 11 years. He writes for Young Life Relationships on occasion, and he writes on topics of faith and culture for Christian and mainstream music magazines. His favorite food is jerk chicken and his favorite animals are salamanders. You can find him on Twitter at @C_Lass. 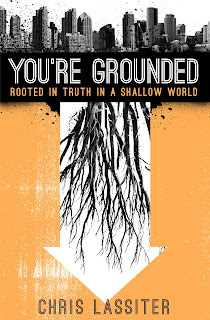 Purchase 'You're Grounded' on Amazon. I'd love a chance to read this! Thanks! Any time we can gain better understanding of the gospel & is relevance in our life and the v lives of those around us it's a good thing! Thanks for the opportunity! Yo. I'd love a copy of this book! YL leader, Greensboro. Love to read books my YLers... i.e. like Sublett's "What Now?" Blessings ! Hope to be able to read this book soon! Doug Lochhead, Leader - Qualicum Beach. I would love to read this, I teach at the high school I have led at for the past 9 years. Summertime is a great time to pick up a book and get filled up before the new school year begins! -Scott SanGeorge, leader at Page High in Greensboro, NC. Same Here! It sounds really great! Thank you for supporting other YL leaders! Thank so much for writing this!! Summer is always a great time to pick up a book! Can't wait to read this! Thanks for writing this..it looks fantastic! Can't wait to read this! YL leader in Lexington Kentucky! I would totally be interested in reading this book! I am a student and I use internet in my computer where i find you blog by Google search. You are a good writer so that you have written about A New Book By Chris Lassiter. I want to tell you about Wood business cards. Does this include ebook copies? If so, sign me up!